Vectors are very useful in all kinds of projects. Having an element which is readymade and can be easily customized, well that’s a big relief and a bigger bonus for designers because readymade vectors are huge time-savers. 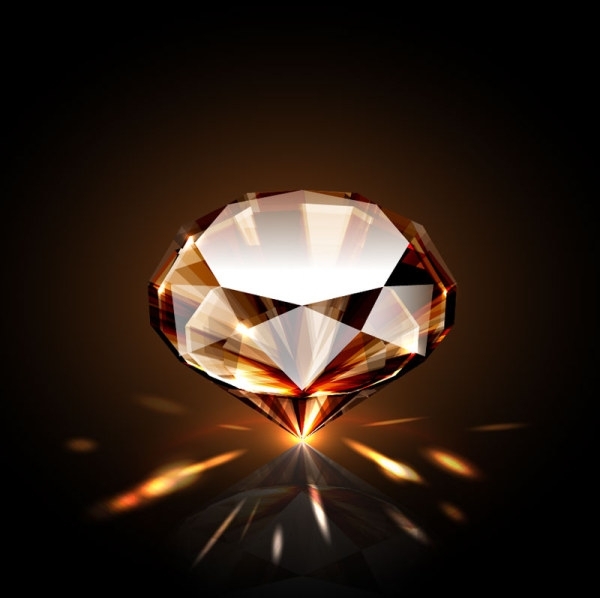 Well aware of that, we decided to set out and about and gather a compilation of diamond vectors which you could put to good use in any endeavors that may require them. They are downloadable and fully-customizable. Add bling to them! You may also see Bubble Vectors. 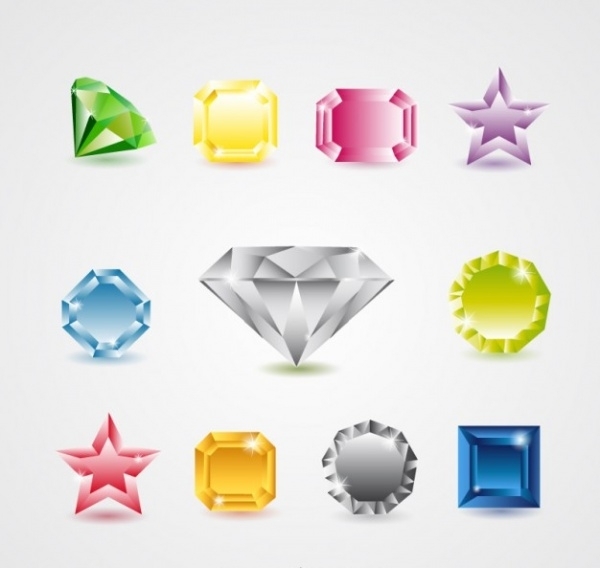 This image includes a collection of a half a dozen of diamond vectors in flat design. You can use them in various capacities and projects. Be it an online or offline project, these vectors are capable of being used anywhere! If you have to design a pattern using a circular diamond, well, how’s this vector for the purpose? 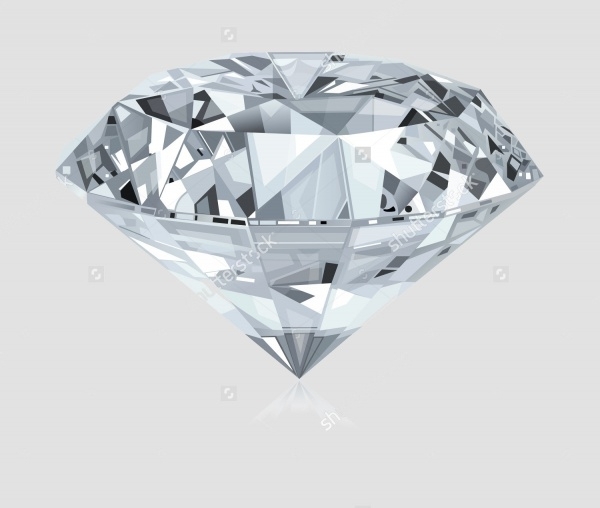 This high quality and utterly well-polished diamond vector hHigh-quality to be stored in your collection of vectors and used in appropriate projects. You may also see Celebration Vectors. 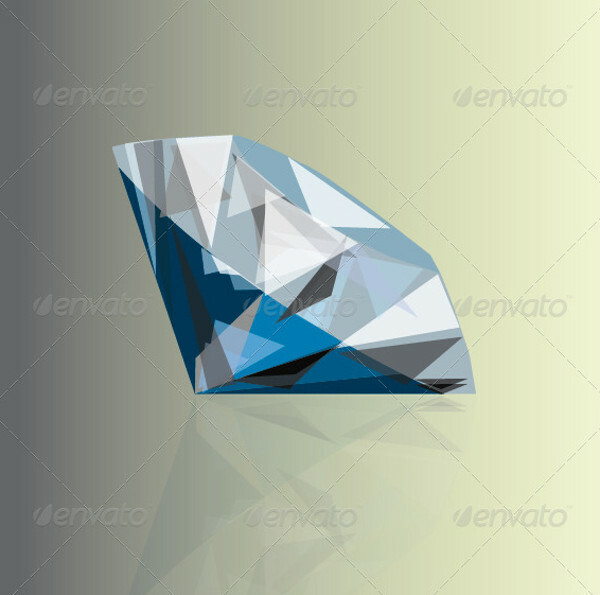 Embellish your web design and graphic design projects by using this very high quality shining diamond vector. The vector is fully customizable and can be tweaked and edited according to requirements. Feel free to use this in personal projects. 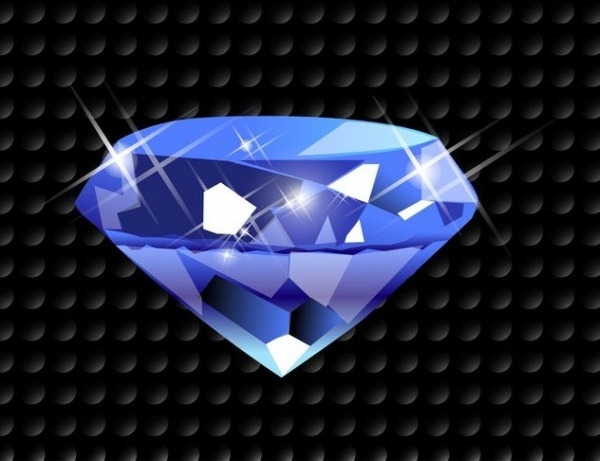 This is a blue diamond vector which is created and developed using Adobe Illustrator. 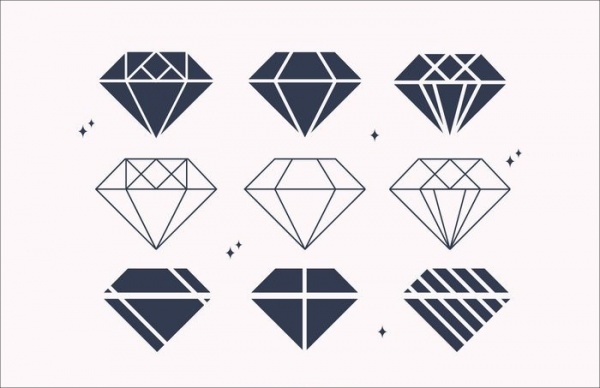 Each piece used in the making of this diamond vector is separate and editable in all respects. 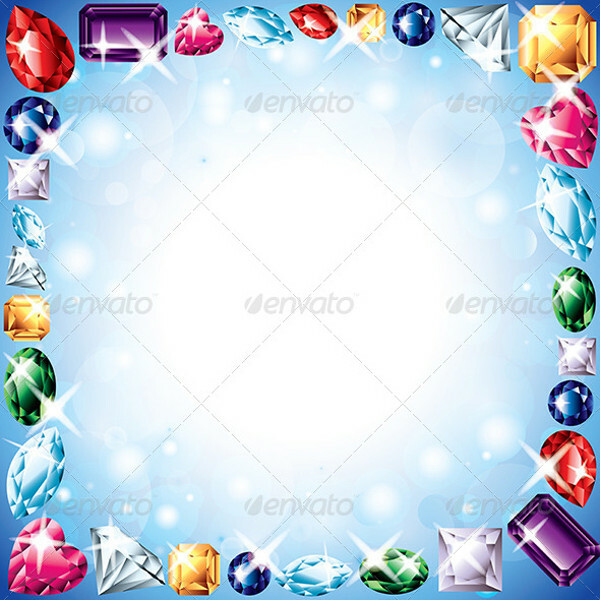 Use this well-designed hand-drawn diamond and gemstones vector to design logo design, stamps, invitation design, poster, paper craft, web design, blogging, stickers, wall art, photo overlays etc. Each element seen in this vector is a separate file and is present in high-resolution JPEG format. All of the elements are editable. 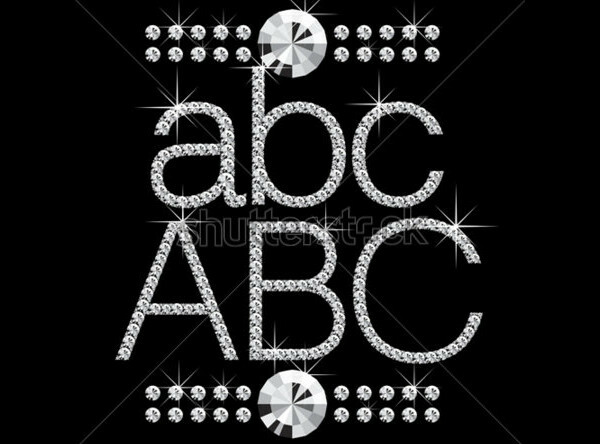 Spice up the design of a web design or graphic design project by using this vector of diamond letters with gemstones placed on an isolated black backdrop. All the vectors are high-resolution and editable. The size of the letters is changeable. 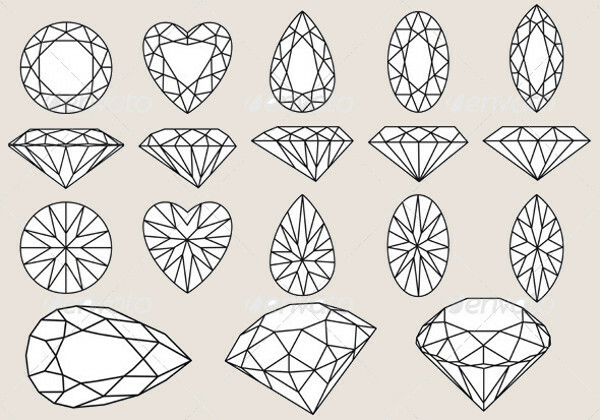 If you’re looking to use just outlines of diamonds and gemstones in your works, download this set of vectors. The display resolution is 3500×5000 pixels. 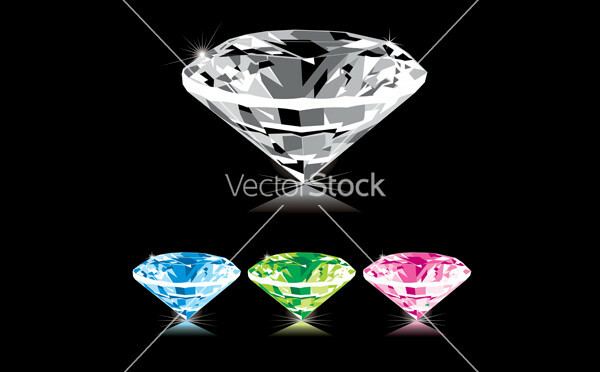 Check out this vector which has a diamond vector which has been composed with triangles of different colors. 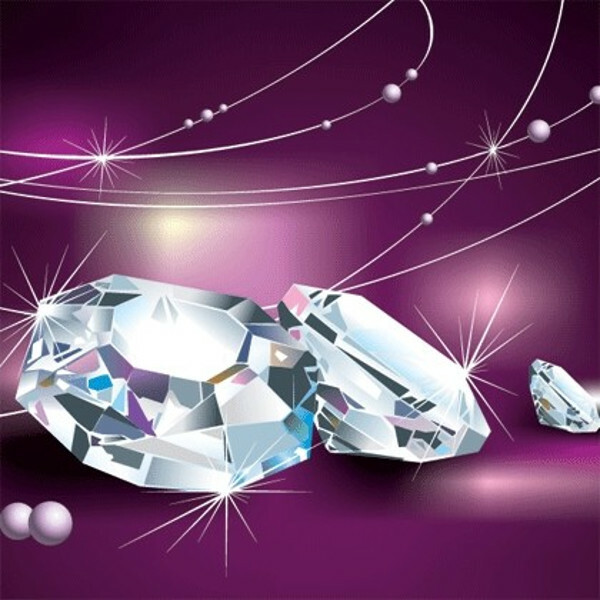 This vector is considered to be a vintage composition and also features diamond network stars composition. 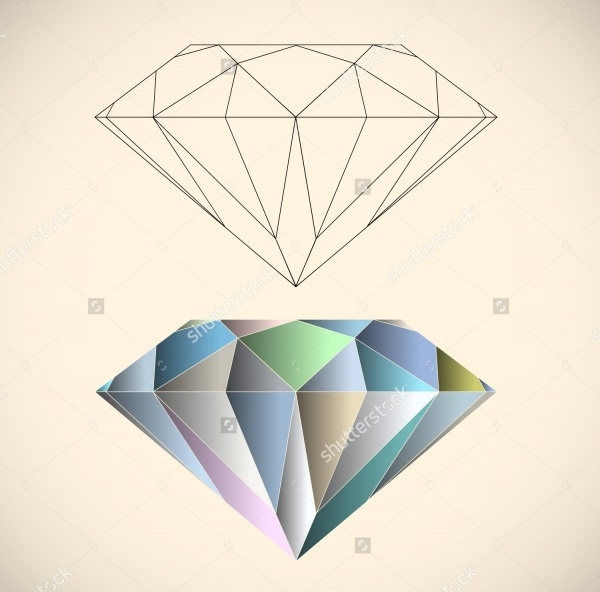 Use this versatile classic and photorealistic diamond vector in different projects based on the theme of diamonds, gemstones and jewellery. The vector is high quality, high-resolution and resizable. 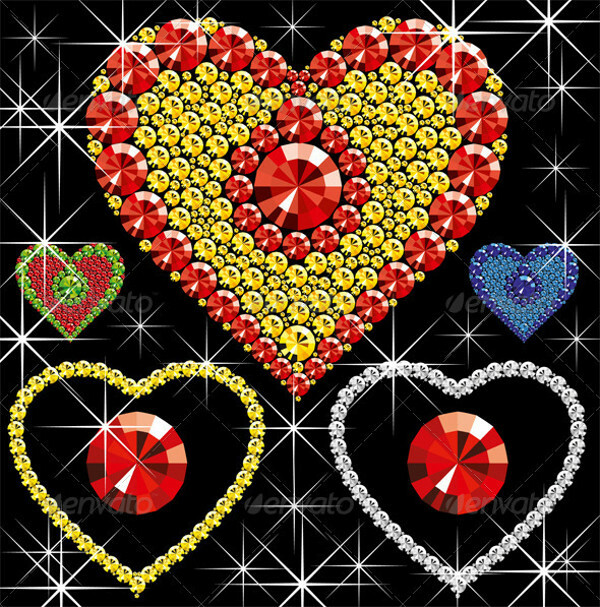 This eye-catch diamond vector featuring bright gemstones forming heart deigns can be aptly used as backgrounds in projects of graphic design and web design. 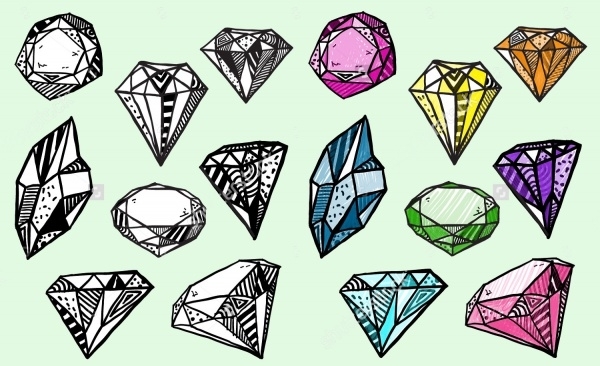 If you’re keen on making a doodle design using gemstones, download this fully-editable doodle diamond vector and show off your creativity and design sensibilities. 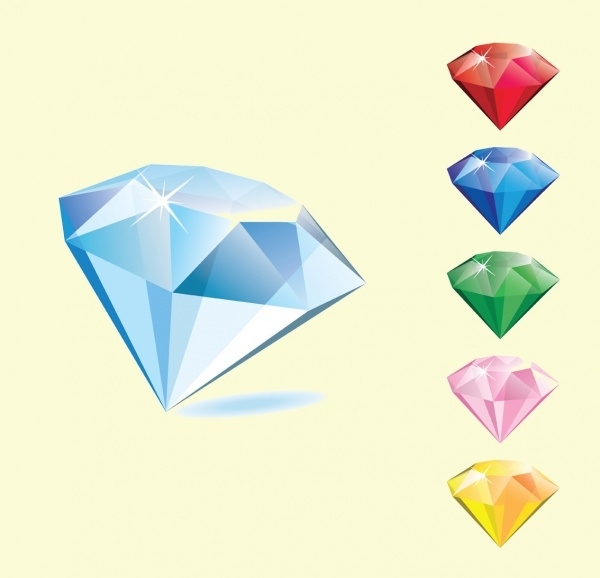 This diamond and gemstone vector is readymade and is fully-qualified to be used as background design for a host of relevant offline and online projects of graphic and web design. 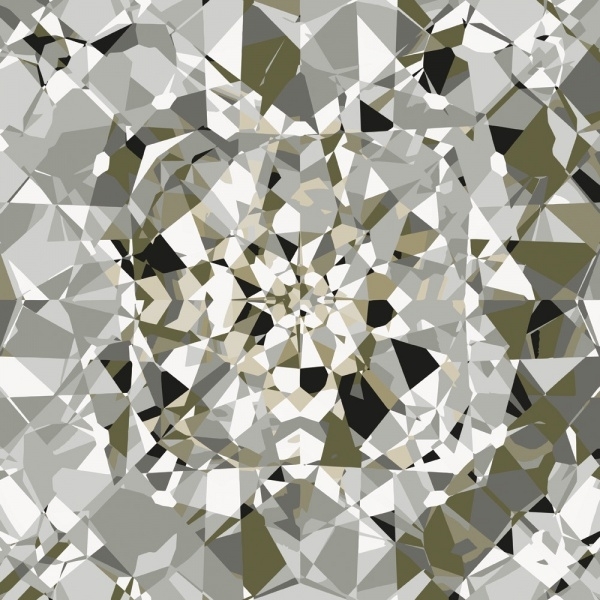 Here’s another splendid diamond vector sample which you can download and customize to utilize in all kinds of jewelry-themed or diamond-themed art and design endeavors. 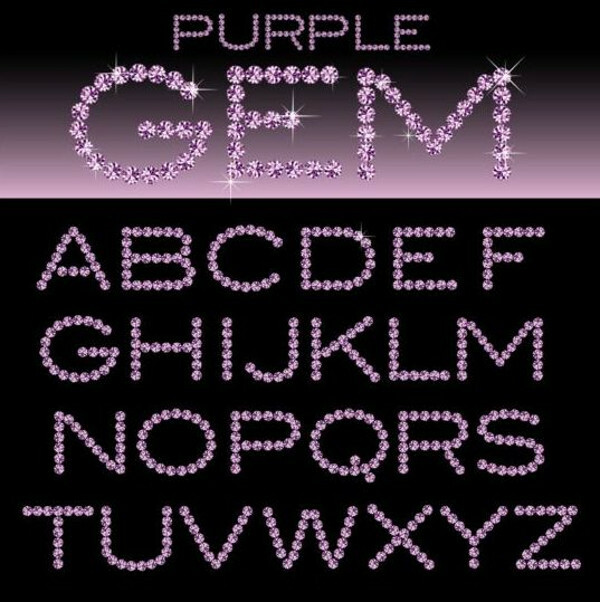 This is a glossy and photorealistic purple diamond vector which can be used to showcase the size and sparkle of a diamond gemstone specimen. 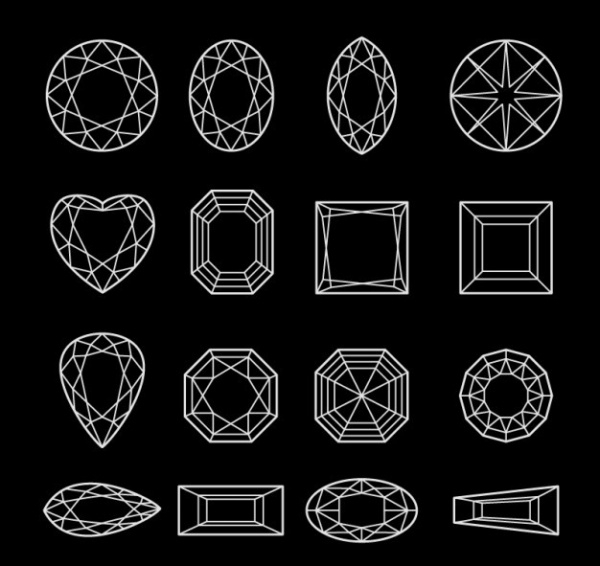 If you’re doing an informative project about diamonds, you could definitely use this well-designed set of different color diamond vectors to show the gemstone’s different cuts and other features. Our compilation of diamond vectors is versatile and well-powered to cater all kinds of project needs and requirement. 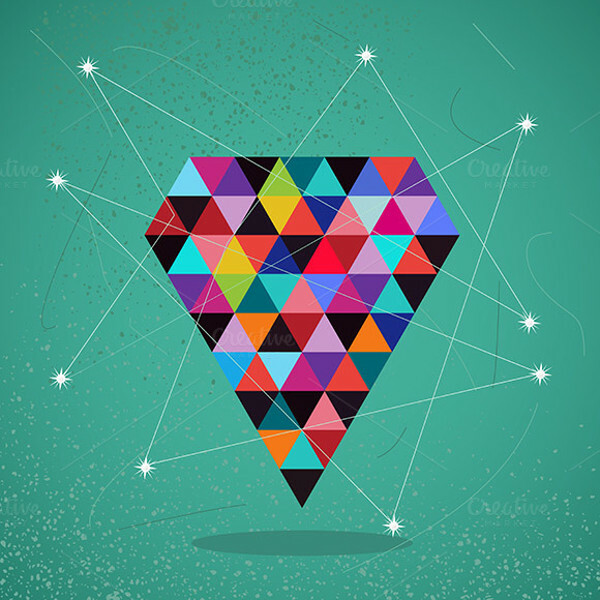 Use any all of the vectors in relevant projects and jazz up the appearance and quality of your work.